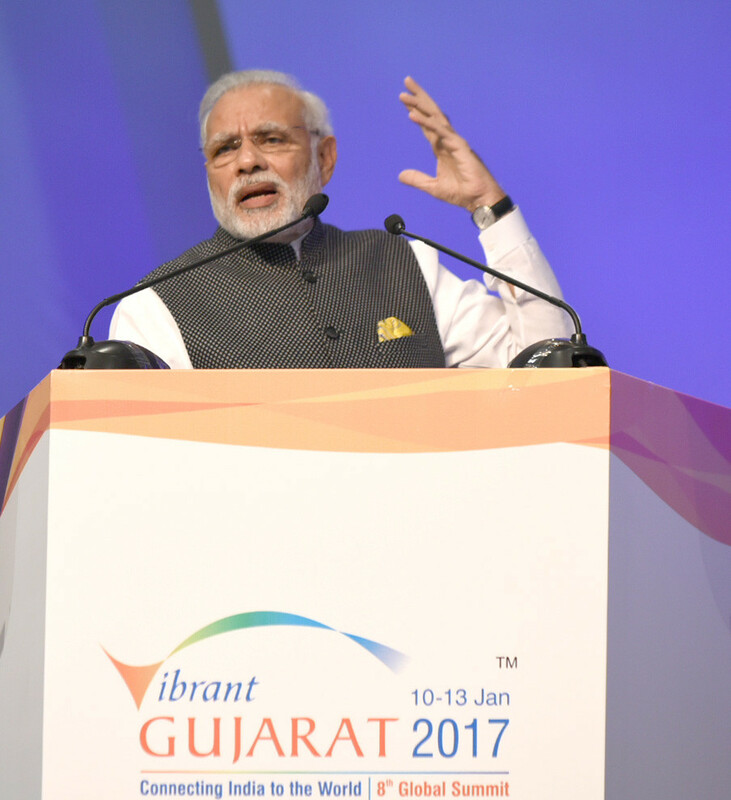 The Prime Minister, Shri Narendra Modi addressing at the Vibrant Gujarat Global Summit 2017, at Mahatma Mandir, in Gandhinagar, Gujarat on January 10, 2017.
Business leaders from around the world attending an investment summit in the western Indian state of Gujarat this week cheered Prime Minister Narendra Modi’s reforms, and said the disruption caused by his radical demonetization move should be temporary. Executives at the week-long, biennial Vibrant Gujarat Summit held in Modi’s home state said the tide was turning on investments into India, although some complained the approval process remained prohibitively slow. Modi has promoted a business-friendly agenda since coming to power in 2014, and his reforms have helped turn India into the world’s fastest growing major economy, albeit with the help of hefty government spending to fund projects. “We are making a real bet on the country. What we are seeing with Prime Minister Modi is really some substantive change, it’s more than lip service,” said Peter Huntsman, Chief Executive of U.S. chemical maker Huntsman Corp.
As someone who first came to India in the late 1980s and has seen the promises made over decades, he described the pace of change under Modi as “near light-speed”, and said that an overhaul of India’s unwieldy tax code would be a game changer. After lengthy delays and political horse trading among lawmakers, Modi finally won parliamentary approval last year to implement the Goods and Services Tax (GST), although it is likely to go only some way to unifying rates. 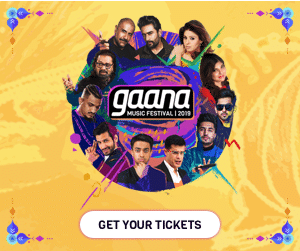 The prime minister also stunned Indians on Nov. 8 when he abolished old 500 and 1,000 rupee notes in a bid to root out corruption and drag the nation into the age of digital payments. The World Bank said in its report this week that the move would slow India’s economic growth to 7 percent this fiscal year, down from an earlier estimate of 7.6 percent. Other economists have also pared growth forecasts, as money shortages over the last two months have caused frustration for millions of people in an economy largely driven by cash. Industrialists like B. K. Goenka, chairman of Indian conglomerate Welspun Group, believe the economic hit from so-called demonetization is in the past. “Demonetization is over. It was a bold decision and in the long run it will benefit. It will also help the implementation of GST,” said Goenka, adding moves to cleanse the system prior to implementing GST later this year made sense. Welspun outlined proposed investments of 40 billion rupees ($588 million) in Gujarat during the summit, which ended Friday. Canadian billionaire investor Prem Watsa said his India-focused investment vehicle Fairfax India is raising a further $500 million, as its initial $1 billion raise from 2015 has already been largely earmarked for deployment. “You’re going to see a transformation take place before your eyes in India,” said Watsa, comparing Modi’s reform agenda in India to the transformation Lee Kuan Yew brought to Singapore. Even for optimists, though, challenges remain. Fairfax India warned last week that a $323 million deal it had struck in March 2016 to acquire a 33 percent stake in the Bengaluru airport was still in limbo, awaiting some government and regulatory approvals. That deal had initially been expected to close in mid-2016. The head of Dubai’s DP World, which operates several ports along India’s coastline, said he was “very bullish” on India but that more work was needed to speed up approvals. Others pointed to the unpredictability of Indian politics as a wild card factor. That challenge was illustrated this week when Amazon.com was forced to remove doormats resembling the Indian flag from its Canadian website, after an Indian government threat to rescind visas of the company’s employees if they did not stop selling them. “Investors will just have to accept a higher level of risk to get the returns they want from big markets like India,” said Amitabh Dubey, a political analyst at emerging markets advisory firm Trusted Sources.